In times of ordinary violence, Falco’s superbly engaging novel is a primer in the art of picking up the pieces. Saint John of the Five Boroughs is highly recommended. It is one book that readers can enjoy again and again over the years. "With sensitivity and passion, Falco dissects the effects of violence, both personal and cultural, on his characters' lives and does so in a novel that transcends the suspense genre." Falco here goes for a heft and complexity new to him, a saga of a family ruptured and an artist discovering herself, in which far-flung elements knit together skillfully, movingly—and not a little frighteningly. As always in Falco, the drama is dominated by its women, seen frankly yet with empathy. Early missteps all but hobble the women here, younger and older. But this winning accomplishment, a new benchmark for its author, reminds us that few things can be so beautiful as a scar. 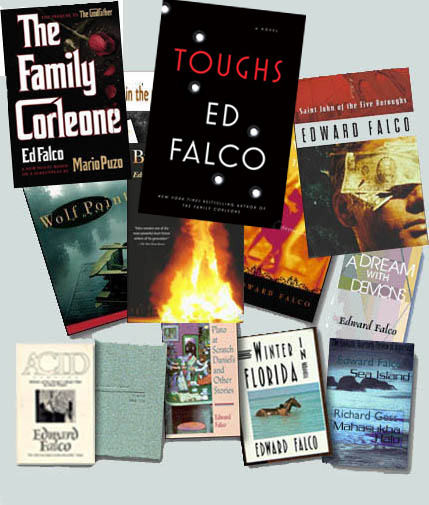 Like his previous novel, Wolf Point (2005), Falco’s latest examines the underbelly of love and relationships, but he also populates the story with a cast of diverse and unusual characters. As the plot twists and turns, readers don't know what to expect next, which can prove both exciting and baffling. A solid story that will find a broad range of readers. 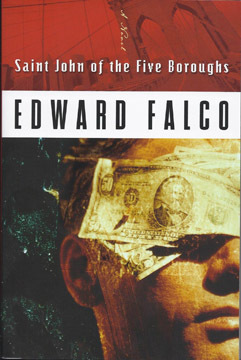 Saint John of the Five Boroughs is an enjoyable read, a rich and redolent work that recaptures an evocative experience of simply settling down and getting lost in a good book. A time, as the narrator notes in reference to another matter, when despite all the surrounding commotion, things “felt still and quiet and small, everything shrunk down to that particular moment and space. The strength of Falco’s writing is his pacing and plot; at the risk of sounding cliché, the book truly is hard to put down. Avery and Grant are interesting characters, if not always likeable, and Falco skillfully avoids lulls in the action. ... If you’re up for a good, suspenseful read that’ll keep you turning pages, Falco delivers. The novel is action-packed in the best sense of that overused phrase, with events that build like a really good movie. What thrills me about the novel’s plot is the way in which it explores a very physical drama involving love relationships, the current war in Iraq, and even mobsters, while also digging into the psychological tensions between the book’s diverse set of personalities. The physical world of St. John precipitates action nicely, and the characters are forced to make real, palpable decisions that affect the individuals around them in important ways.